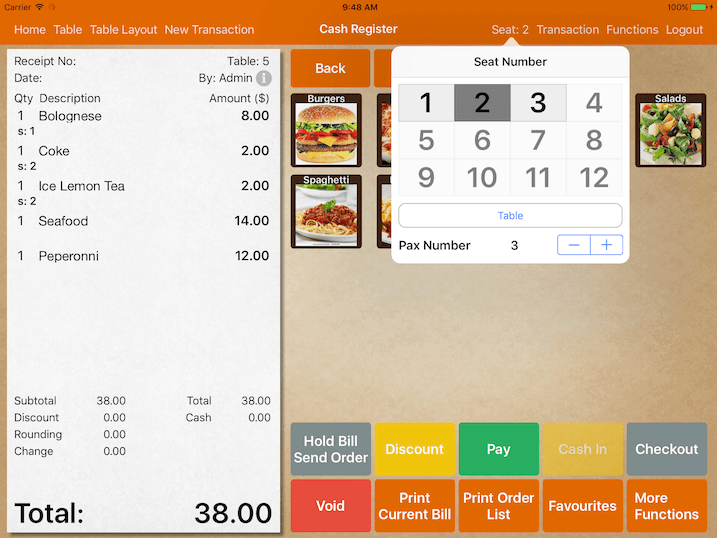 Assign each order with a seat number. Seat number will be printed in kitchen docket. To activate this feature, you have to turn on Order By Seat under Settings -> General -> Order By Seat. If bill is assigned with table and pax, you will find Assign Seat button on top right. Select the current seat and each order taken will be assigned to selected seat. Assign order to Table for food item that is shared. Select the order you wish to change. Tap on the current seat number and change the seat number. 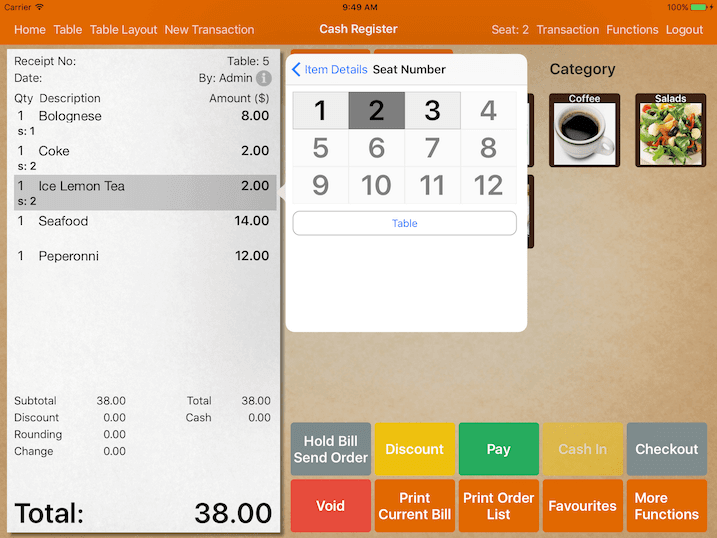 Upon billing, you could split bill by seat.